Kosova was part of the Ottoman Empire for five centuries. In 1912, when the Empire collapsed, Kosova was invaded and occupied by Serb forces and subsequently incorporated into Serbia, against the will of the majority Albanian population there. Kosova was ruled by Serbia from 1912 to 1999, though at no time did Serb rule enjoy the support of the majority of the people of Kosova. The country was liberated by NATO forces in the spring of 1999 and placed under the administration of the United Nations. 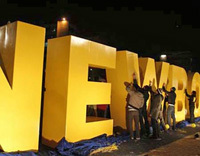 After years of fruitless negotiations with Belgrade, Kosova finally declared its independence on 17 February 2008. It was a moment of pride and joy for the Kosova Albanians and other ethnic communities, though one of great apprehension for the small (8%) Serb minority. Here is the text of the declaration of independence, read out in parliament in Prishtina. 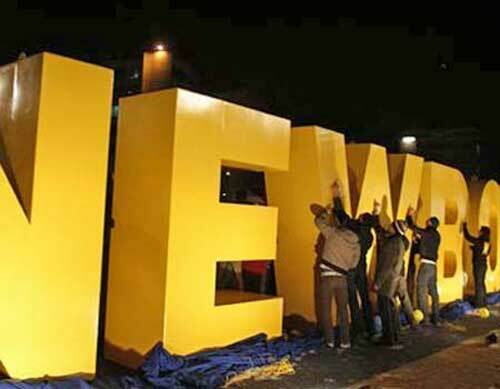 We, the democratically elected leaders of our people, hereby declare Kosova to be an independent and sovereign state. This declaration reflects the will of our people and it is in full accord with the recommendations of UN Special Envoy Martti Ahtisaari and his Comprehensive Proposal for the Kosova Status Settlement. We declare Kosova to be a democratic, secular and multi-ethnic republic, guided by the principles of non-discrimination and equal protection under the law. We shall protect and promote the rights of all communities in Kosova and create conditions necessary for their effective participation in political and decision-making processes. We fully accept the obligations for Kosova contained in the Ahtisaari Plan, and welcome the framework it proposes to guide Kosova in the years ahead. We shall implement those obligations in full, also through priority adoption of the legislation included in its Annex XII, particularly those parts that protect and promote the rights of communities and their members. We shall, as soon as possible, adopt a Constitution that enshrines our commitment to respect the human rights and fundamental freedoms of all our citizens, in particular as they are defined by the European Convention on Human Rights. The Constitution will incorporate all the relevant principles of the Ahtisaari Plan and will be adopted through a democratic and deliberative process. We welcome the continued support of the international community's for our democratic development through the international presence established in Kosova on the basis of UN Security Council Resolution 1244 (1999). We invite and welcome an international civilian presence to supervise our implementation of the Ahtisaari Plan, and a European Union-led rule of law mission. We also invite and welcome the North Atlantic Treaty Organization to retain leadership of the international military presence in Kosova and to carry out the responsibilities assigned to it under UN Security Council Resolution 1244 (1999) and the Ahtisaari Plan, until such time as Kosova institutions are capable of assuming these responsibilities. We shall co-operate fully with these institutions to ensure peace, prosperity and stability for Kosova in the future. For reasons of culture, geography and history, we believe our future lies within the European family. We therefore declare our intention to take all steps necessary to facilitate our full membership in the European Union as soon as feasible and to implement the reforms needed for European and Euro-Atlantic integration. We express our deep gratitude to the United Nations for the work it has done to help us recover and rebuild from war and to build institutions of democracy. We are committed to working constructively with the United Nations as it continues its work in the period ahead. With independence comes the duty of responsible membership in the international community. We fully accept this duty and will abide by the principles of the United Nations Charter, the Helsinki Final Act, other acts of the Organization on Security and Co-operation in Europe, and the international legal obligations and principles of the international community that mark relations among states. Kosova shall have international borders of its own, as set forth in Annex VIII of the Ahtisaari Plan, and will fully respect the sovereignty and territorial integrity of all of its neighbours. Furthermore, Kosova will refrain from the threat or use of force in any manner inconsistent with the goals of the United Nations. 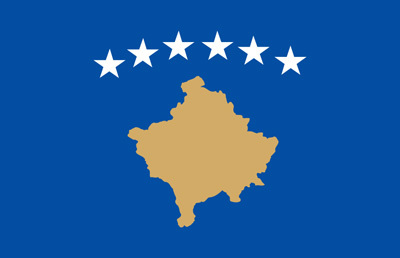 We hereby assume the international obligations of Kosova, including those concluded on our behalf by the United Nations Interim Administration Mission in Kosova (UNMIK) and the treaty and other obligations of the former Socialist Federal Republic of Yugoslavia to which we are bound as a former constituent part, including the Vienna Conventions on diplomatic and consular relations. We shall co-operate fully with the International Criminal Tribunal for the Former Yugoslavia. We intend to seek membership in international organisations, in which Kosova will endeavour to contribute to the pursuit of international peace and stability. Kosova declares its commitment to peace and stability in our region of southeast Europe. Our independence brings to an end the process of violent dissolution of Yugoslavia. Though this process was a painful one, we shall work tirelessly to contribute to a reconciliation that would allow southeast Europe to move beyond the conflicts of our past and to forge new links of regional co-operation. We will therefore work together with our neighbours to advance towards a common European future. We express, in particular, our desire to establish good relations with all our neighbours, including the Republic of Serbia with whom we have deep historical, commercial and social ties that we wish to develop further in the near future. We shall continue our efforts to contribute to relations of friendship and co-operation with the Republic of Serbia, while promoting reconciliation among our people. We hereby affirm, clearly, specifically and irrevocably, that Kosova is legally bound to comply with the provisions contained in this Declaration, in particular, its obligations under the Ahtisaari Plan. In all of these matters, we will act in accord with the principles of international law and the resolutions of the Security Council of the United Nations, including Resolution 1244 (1999). We declare publicly that all states may have faith in this Declaration, and appeal to them to extend to us their support and friendship.